In this Article i am going to Discuss the Karka Venus and Up Karka Rahu for Marriage Muhurat. The Most important Parameters for Venus are 4,8th and the 12th house from Venus should not be afflicted , Kendra and Trikona should be in Pious Condition and Dispositor of Venus and Dispositor should be placed well from eath other. Venus Facts. Venus is the second planet from the Sun and the third brightest object in Earth’s sky after the Sun and Moon. … The planet is named for Venus, the Roman goddess of love and beauty and is the second largest terrestrial planet. Sept. 2018 is a special month since so many changes of the planetary positions are taking place . Before I take up Venus let me write the Planetary effect of the Planets in the month of Sept. and Oct. 2018. 1st Sept. 2018 Transit Mars regains normal motion after becoming direct on the 27th August 2018 at19.35 hrs and then becoming Stationary till 31st August 2018. Mars is behind Ketu till 26th Sept 2018 and is in a Venomous state. Mars will also activate the Eclipse point of the Lunar Eclipse on this Date and will be most Venomous till 4th Oct. 2018. Mars will reach its Exhaltation point on the 3rd Nov. 2018 and finnally leave Capricorn on the 6th Nov. 2018. Mars exalted in capricorn when crosses the Ketu on the 26th Sept. 2018 magnifies its potential to affect positive changes . This time should be utilized to initiate the changes that require courage to overcome the situations. As mentioned above and in all my articles Sept. 25-26th 2018 Mars and Ketu will be degree conjunct the 3rd time and also activate the Eclipse point of the Lunar Eclipse of the 28th July 2018 and hence a deeply emotional event can take place . We all know the significations of Mars which may sprout with dimension and indicate attack of violence and can be with the ugliest magnitude .This is the time of war and peace and we are on the crossroads. The Mars will also activate the Eclipse point of the Solar Eclipse of the 11th August 2018 on the 26th Oct. 2018 at 24 degrees which indicates another turning point in the mundane and Mars significations sprouting with magnitude. Saturn becomes Stationary on the 6th Sept. 2018 16.38 hrs. for 5 days till 11th Sept. 2018. When a Planet changes its mode from Retrogression to normal motion the significations of the planets have to be watched specially of Saturn and Mars . Mars has allready become direct and Saturn also becoming direct indicate shocking and major events which may be on the cards . Saturn in the sign Sagitarius concerns extreme righteousness and destruction. Saturn as per Kalidas is Dukh Karka and all the ‘D’ are signified by Saturn specially when it is in Stationary mode . Saturn is also in the Nakshatra of Ketu Moola and supposed to be most venomous since Moola is ruled by Niritti the Godess of Destruction. This also indicates fall of the Governments and Tug of war in the Political field.This will be the most difficult time but time to brush up our mind for a new start. Jupiter will ingress Scorpio on the 11th Oct. 2018 19.20 hrs and become attichari and cross the 30 degrees in just 5.5 months and again ingress in Sagitarius on the 29th March 2019 where Ketu and Saturn will be there . Jupiter will become Retrograde very soon on the 10th April 2019 and fall back in Scorpio on the 23rd April 2019 and will remain in Scorpio till 5th Nov. 2019. This will be most Crucial period for the World since Jupiter is Karka for wealth and will fall in the 8th house of the natural zodiac where Saturn and Mars have already fallen after 2016. This activation of the dual Transit of Saturn and Jupiter may bring a big change pertaining to Global events and most venomous one The Conjunction of Saturn and Ketu in the sign of Jupiter after 25th March 2019 will be the Key date for the Significations of Jupiter to Suffer in a most ugly way . Venus the Godess of Love and Beauty will over stay in Libra for over 121 days from the 1st Sept. 2018 23.27 hrs. to 1st Jan 2019 20.43 hrs . When Venus becomes Retrograde it becomes extremely powerful. It turns retrograde every 18 months .Venus is the planet who spends the least time in retrogression and in the present trasit it will be retrograde for 42 days . It will turn Retrograde on the 5th-Oct. 2018 and become dorect on the 16th Nov. 2018. It becomes Direct at 1 degree Libra where it is also Vargottam. Major peace treaties take place when Venus is retrograde , hence it seems the Brawl between the nations and the trade wars may escalate till 5th-6th Oct. 2018 after which there is a possibility of some relief , but mind you the Mars will activate the Eclipse point of the Solar Eclipse on the 26th Oct. 2018, hence the peace treaties can only take place when Mars leaves the sign Capricorn and Venus is stationary at 1 degrees Libra on the 16th Nov. 2018. On 5th October Venus became stationary, stopped moving from our perspective until 6th October. From 15 November Venus will be stationary again until on 16th November she becomes direct and visible. Venus is also afflicted on the day of the News on the 31st March 2019 when Venus is with Fallen Mercury in the sign Aquarius and Kendra has Mars and Trikona has Rahu. 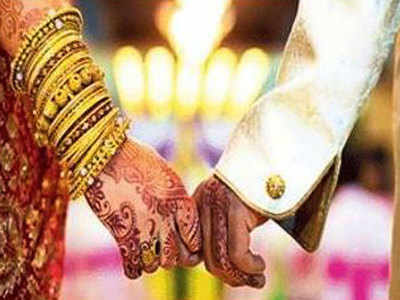 This also points out that at the time of the Marriage Functions in July- Nov- Dec. 2018 when the Marriage functions took place these Planets will play a major role for what ever is happening now. Needless to write here that the Marriage functions took place for the couple Priyanka Chopra and Nick in these time frames since Rahu-Ketu were adverse for 21-22 days in July 2018. Priyanka Chopra and Nick Jonas got engaged in late July in Greece, and capped off their engagement on the bride-to-be’s 36th birthday in London–in a romantic gesture right out a scene of a movie. Straight out of the opening scene of Sweet Home Alabama, Jonas took his bride-to-be to Tiffany & Co., where Chopra selected the ring of her dreams. The couple then set out to plan a multi-day celebration in Jodhpur, India–packed with celebrity guests, multiple outfit changes, a palace venue, and much, much more. This was Hollywood’s version of the royal wedding. Here, everything you need to know about Priyanka and Nick’s nuptials. The couple’s multi-day celebration took place from November 29th-December 3rd, with the ceremonies taking place on December 1st and 2nd.